I don’t mention this too much, but I shoot both film and digital–each for their own purposes. The actual delivery medium doesn’t matter as much to me as the results, but each has its charms. 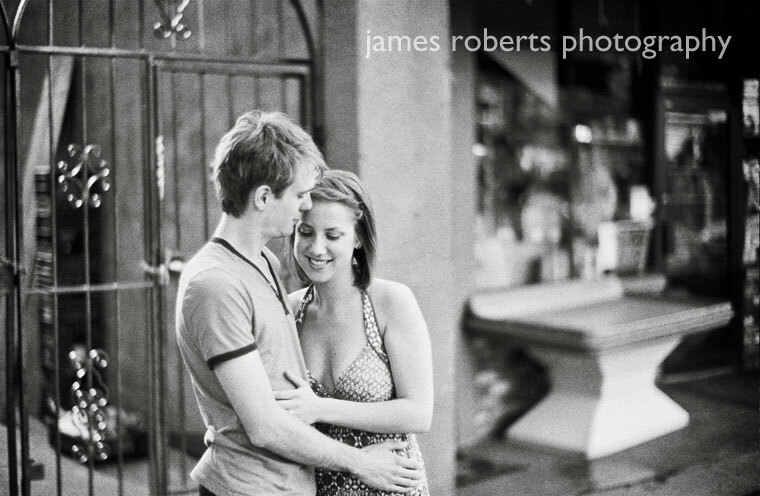 BW film, in particular, is a great way to get a certain kind of tonality quickly, so I use it to do that. 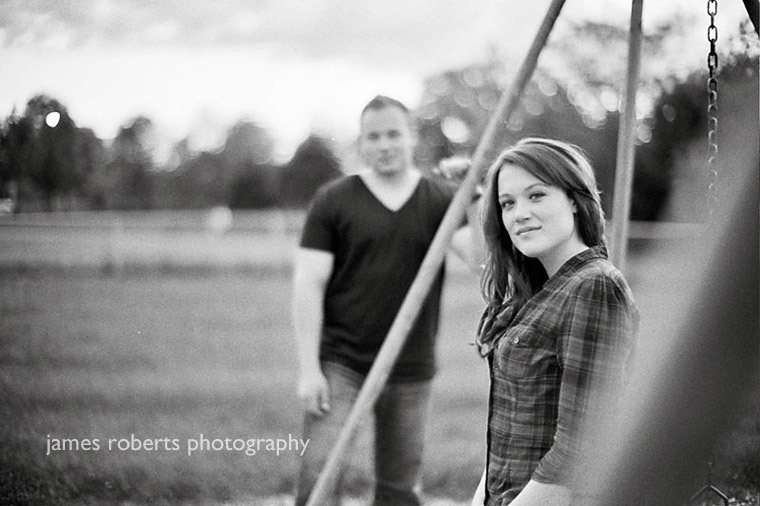 Especially when I have time, like in a portrait or engagement session, I like to “go back” to shooting on film. Can you achieve the same results with digital, too? Of course you can, but it helps if you know what film should look like to begin with, and to me that’s important. Well, film is a mature medium, especially compared with digital, and a lot of time and effort went into detailing a system for capture, manipulation (in the darkroom) and print presentation. Most digital images, right out of the camera, fall far short of the range of tones and all-round excellence you can expect from the many kinds of film. Believe it or not, we’re all pretty sophisticated when it comes to seeing beautiful images. So much work I see today is manipulated in post-processing to destroy detail (by crushing contrast) and delicacy of expression (by washing out tonality) that it’s refreshing to go back to the simple pleasures of film–and it continues to inspire me for my digital work too! All of these were taken with a Leica Noctilux f1.0 lens, except for the wider angle shot of Jenn & Chris and the skyline, which was shot with the Leica 35 Summilux ASPH. Everything was shot on a Leica M6 (film) or M9 (digital).